A long time ago in a land far far away, I posted a recipe for Lemon Crackle Cookies. (Okay, it wasn’t that long ago nor that far away.) They were awesome! 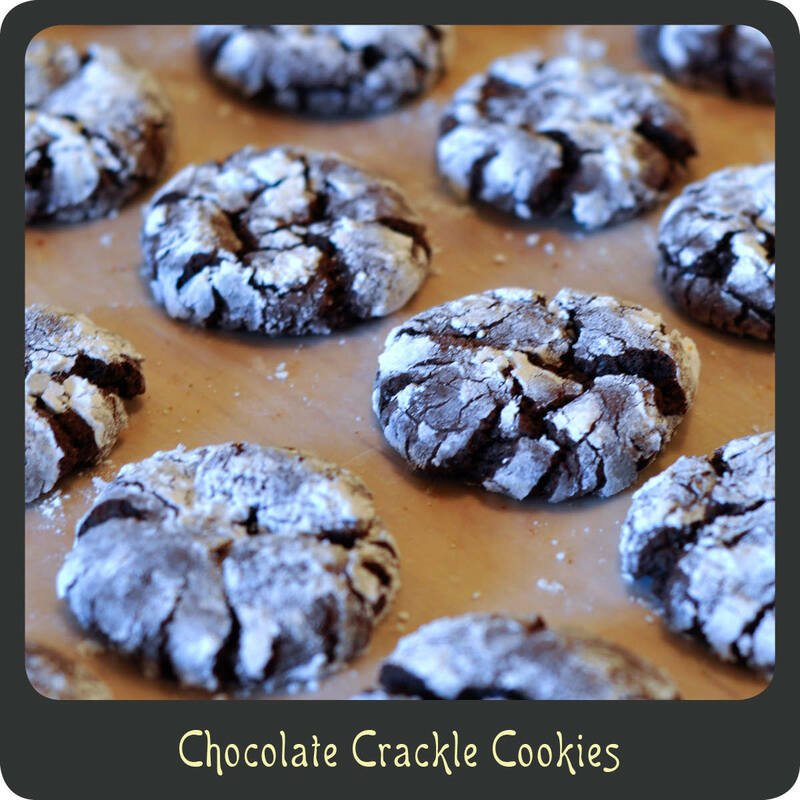 Perhaps the name Chocolate Crack Cookies would be more appropriate for this recipe since you will not be able to stop eating them! Since the base for my crackle cookies is a box of cake mix they are perfectly fluffy, super moist, ultra fudgy, and easier to make than any cookie should be. This recipe is very straightforward and easy. Anyone can make them. Really. I promise! While they may look complicated all you are doing is rolling the dough into balls, coating them generously with powdered sugar, and then baking them. They do all the fancy crackling while baking. Give them a try. Everyone you share with will be very pleased you did. In a large bowl mix together dry cake mix, eggs, and oil. Put the powdered sugar in a shallow bowl or plate. Form small balls with the dough and then roll them in the powdered sugar. Be sure the cookies have a really thick coating of the sugar if you want them to have that crackle look. 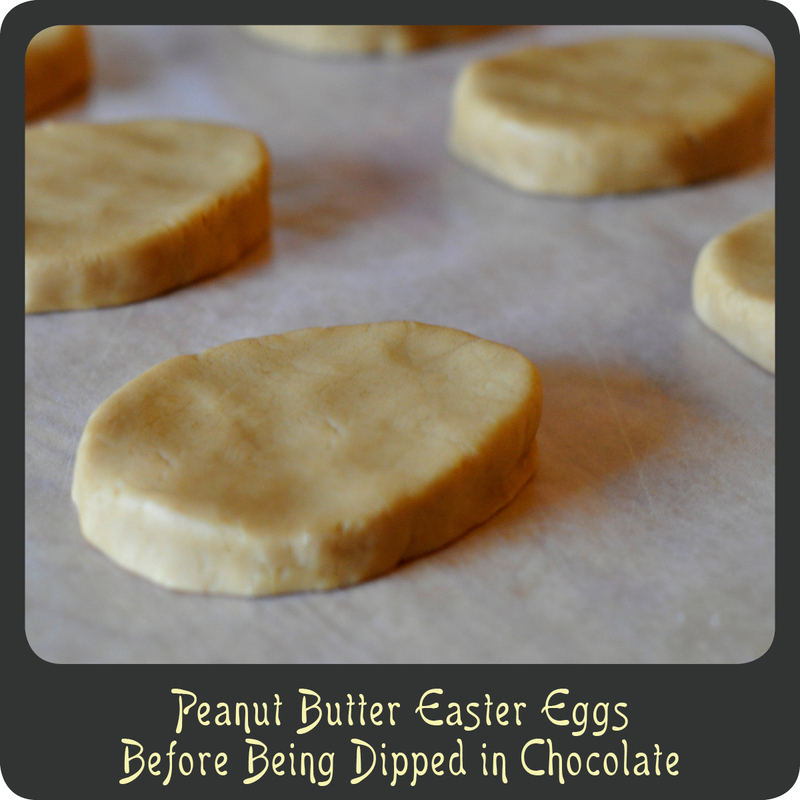 Place at least 2 inches apart on a parchment paper lined baking sheet. Bake for 7–9 minutes or until golden brown on the bottom. Allow cookies to sit on the baking sheet for a couple of minutes before transferring to a cutting board or cooling rack. I run a household that always seems to be full of friends and family who come to visit on the weekends. I absolutely love entertaining and cooking delicious meals for my visitors. What I don’t love is when I’m in the kitchen for hours on end. It means I am missing out on valuable time with them. This is a breakfast dish that is perfect for when you are entertaining, or heck, even if you just want an easy breakfast in the morning for the family. You prepare this in advance before your company even arrives, and then just pull it out and pop it in the oven in the morning. And by make it in advance is that you literally take the ingredients, plop them in a dish (in an orderly fashion of course) and refrigerate. How much more easy could it get? Easy to prep and easy to bake. That is my kind of breakfast! Grease a 9” x 13” baking dish. Spread half of the bread cubes into the bottom of the baking dish. Sprinkle about three quarters of the cream cheese cubes over the bread. Sprinkle about three quarters of the blueberries into the dish. 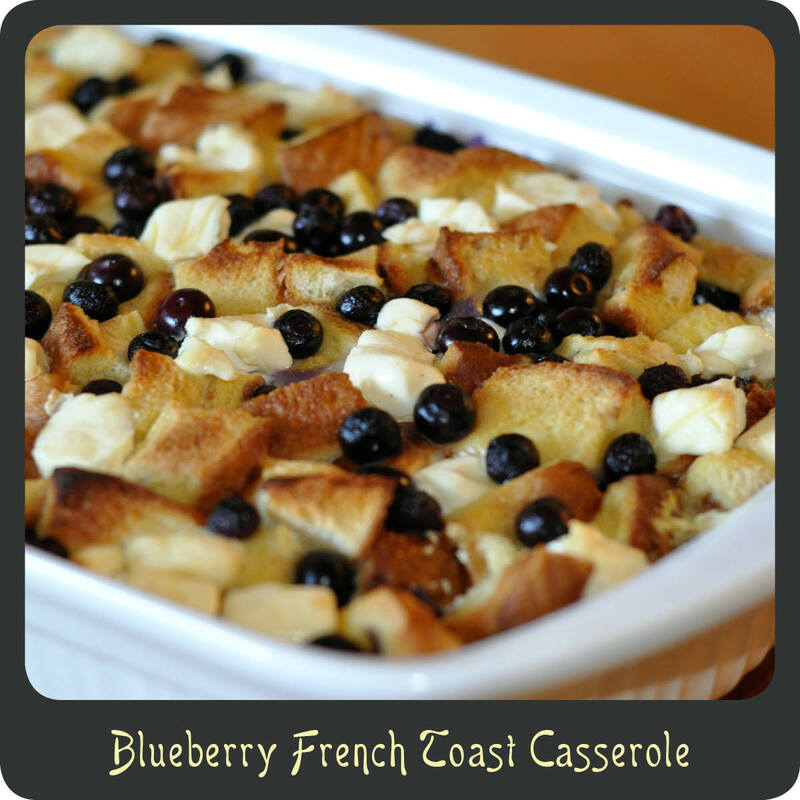 Top with remaining bread, cream cheese, and blueberries. In a large bowl, whisk together eggs, milk, syrup, and vanilla. Pour the egg mixture over the entire dish. Using your fingers or the back of a spatula gently press all of the bread pieces down into the egg mixture. Cover the baking dish with foil and place in the fridge 8 hours or overnight. When ready to bake remove the dish from the fridge and allow it to sit on the counter for about 30 minutes. Keep the dish covered in foil and bake for 45 minutes. Remove the foil and continue baking until the top is s nice golden brown and the egg mixture is set, about an additional 20–30 minutes. The first time I made these cookies was actually around the holidays. They turned out delicious! So good that I even included them in my annual holiday goodie boxes. While cranberries and white chocolate are perfect for the holiday season, I think they are equally perfect for any time of year. Cranberry and white chocolate is such an awesome flavor combo, why only enjoy during the winter months? Pudding cookies are great because they turn out super moist and are some of the softest cookies you will ever have! The pudding really helps to hold them all together so you end up with perfect little mounds of deliciousness! In a medium mixing bowl stir together flour and baking soda. Set aside. In a separate bowl, mix together the butter and sugars. Add in dry pudding mix and beat until well blended. Slowly incorporate flour mixture until well combined. 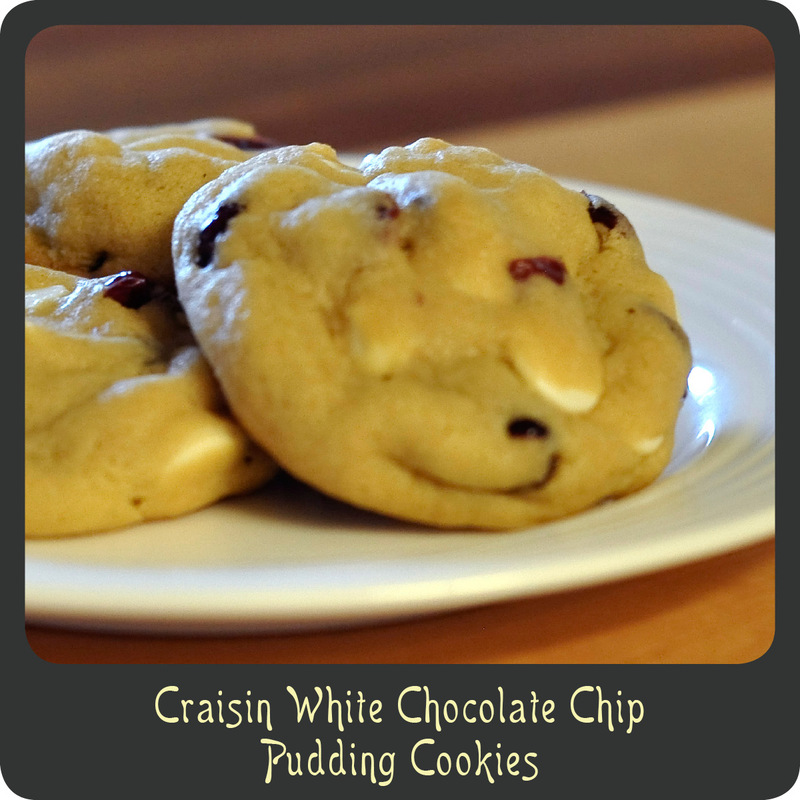 Mix in craisins and white chocolate chips. 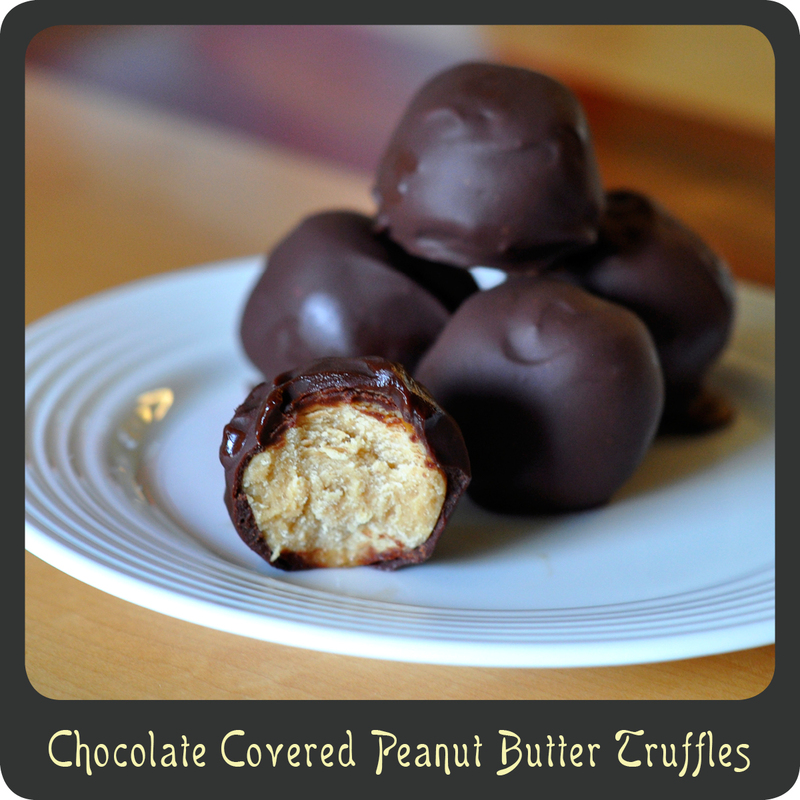 Roll the cookie dough into 1² balls and place on a greased baking sheet. Bake cookies for 8­12 minutes or until just turning golden on the edges. 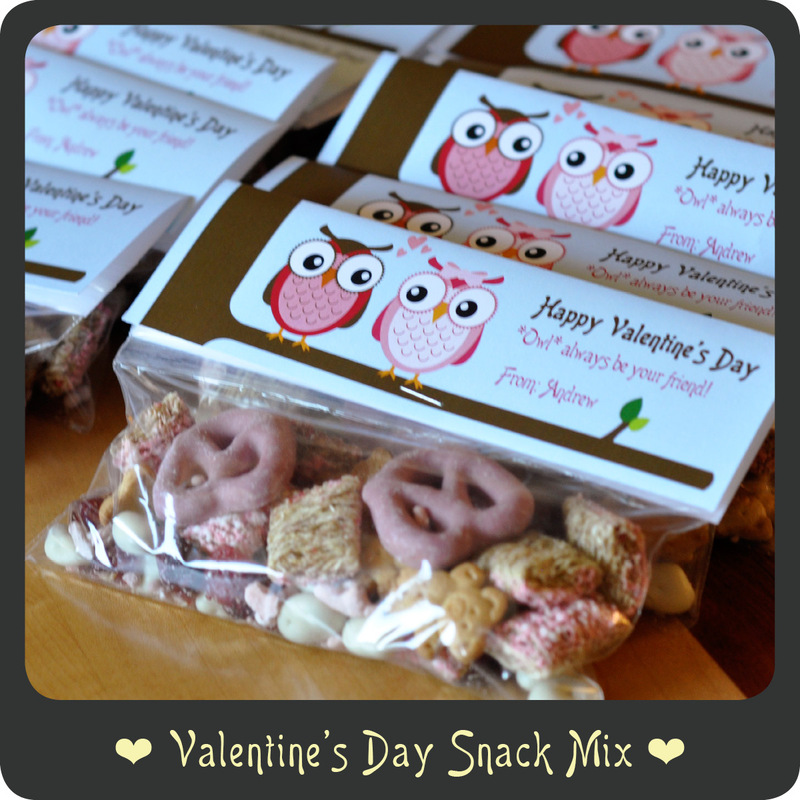 If you are on Pinterest then you have probably seen one form or another of “Puppy Chow” snack mixes. 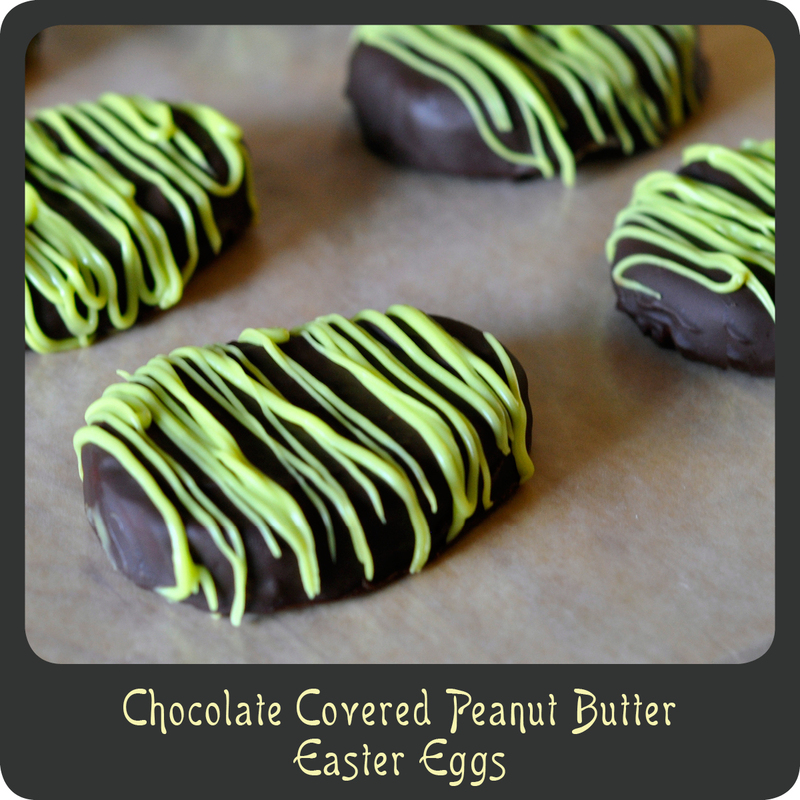 (Basically a super sweet treat made from chocolate covered Chex cereal and tossed with other tasty goods.) These snack mixes are popping up everywhere! I saw one the other day for Valentine’s Day that looked super cute. I liked the idea of doing something like this for my son and all his little classmates at school but thought his teacher’s may not appreciate it if I get a classroom full of 2 and 3 year olds all hopped up on sugar. 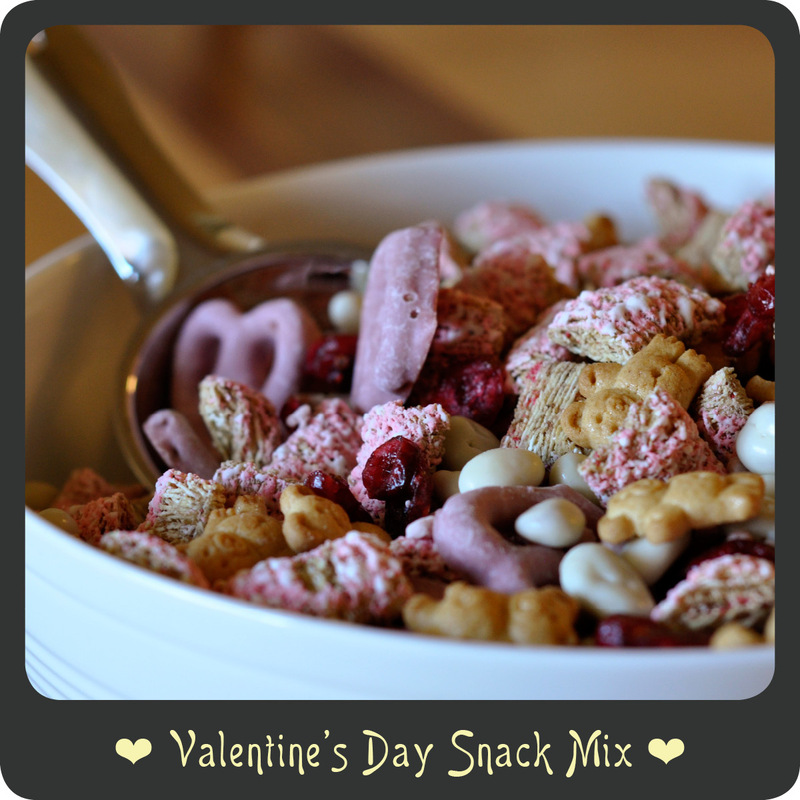 I decided to create this lower sugar version snack mix that is great for people of all ages. Have fun mixing any and all of your favorite bite size snacks! Note: This recipe makes enough to fill 24–26 snack size Ziploc bags or 1 large bowl. Here are my final goodie bags. I made some cute tags that I folded in half and stapled over the top. Combine all ingredients and one large bowl and use a large serving spoon or scoop to mix together gently. Divide mix into snack size bags or serve in one large bowl. Awhile back I posted a recipe for lemon crackle cookies. It was a cookie recipe that is primarily made from a box of cake mix. I love the concept of taking cake batter and sprucing it up with a few extra ingredients to make one heck of a fabulous cookie These types of cookies always come out really light and super moist and best of all they are quick and easy to make. Well ‘tis the season for complete chaos and busy schedules so what better time to share a recipe for super quick and scrumptious confetti cake batter cookies. I used red and green sprinkles to make them festive for Christmas but keep this recipe in mind throughout the year. Just change the sprinkle color for the appropriate holiday. Perhaps pink and red for Valentine’s Day? In a large bowl mix together the dry cake mix and baking powder. Whisk together the eggs, oil, and vanilla. Add the egg mixture to the cake mixture and stir until all ingredients are combined. Fold in the sprinkles but be sure not to over mix or the dye will stain the batter. Line a large baking sheet with parchment paper or grease it. Drop 1” balls of dough onto the baking sheet leaving approximately 2” apart. Bakes cookies for 9–10 minutes making sure they don’t brown. Allow the cookies to cool on the sheet for about 3 minutes. Use a spatula to transfer the cookies to a cutting board or cooling rack.